Schools in rural areas have low retention rates and don't perform as well on standardised tests as their metropolitan equivalents. Fewer rural children also take up tertiary studies. Why is this the case? Are people disadvantaged by the place in which they live? Professor Corbett is studying education in rural communities to better understand the factors leading to rural disadvantage in education. 'A significant issue is the lack of availability of higher education in rural areas. This means that children need to leave home to access further studies, often as early as 16 years of age,' said Professor Corbett. 'The choice becomes either to stay at home and discontinue their studies, or move away from hearth and home. This decision is often both emotionally and financially difficult for families. This tension around issues of mobility, tradition and formal education is a central focus of Professor Corbett's research. Another issue is that rural education is often seen as useful only for those who want to leave, and not for those who want to stay. 'It is a bit of a truism that struggling rural communities require educated citizens in order to revitalise. But at the same time, places with strong and established primary resource economies stand to prosper with improved rural education,' said Professor Corbett. 'Despite everyone's best intentions, there can be a mismatch between what parents and kids see as their future and what is taught in school. A robust conversation about aspirations and what are called 'rural futures' is long overdue. 'Rural people live in the modern world. The products they produce are part of a global capitalist economy. Professor Corbett would like to see the level of education in rural areas improve from childcare right through to postgraduate education. 'School is an important institution in the community. All over the world, schools in rural communities are under threat. School is where children come together to have a collective communal experience, a place where challenges within the community can be explored. In an important sense, the school is the community in small places,' he said. Professor Corbett would like to see schools supported and expanded as multi-service community 'hubs' reflecting the unique needs of the area. 'Part of the challenge of rural education is that every rural area is different. Each area has its own challenges, its politics, and culture,' said Professor Corbett. 'Schools should embrace this diversity and uniqueness, drawing on the skills and knowledge of the community and providing a place where people can do the difficult intellectual work required for community development. Education is not just about what goes on in school, it is about the broader picture,' said Professor Corbett. According to Professor Corbett, geography is an element of educational disadvantage that needs further exploration. And Tasmania, with its largely rural population and strong food economy, is a great place to do it. Michael Corbett is a Professor of Rural and Remote education. His research explores historical and contemporary conceptions of the rural, and how these conceptions have influenced rural social and economic development, education, teacher education and literacies. Corbett's research themes have included rural outmigration, youth educational decision-making, education policy, small rural schools, and literacies in rural contexts. He is particularly concerned with questions of space, place and mobility in social and educational theory. His most recent work has focused on the renewal of small rural communities in Atlantic Canada. He has been published widely in scholarly journals in education, sociology, and anthropology, and he has published a number of books. Before joining The University of Tasmania, Corbett was a professor in the School of Education at Acadia University in eastern Canada. He worked there in a number of roles including teaching social studies, language arts, and educational foundations to pre-service teachers, a variety of curriculum studies and educational foundations units at the graduate level including doctoral level units in education theory and research methodology. Professor Corbett began his career working as a teacher, consultant, and administrator in rural and remote communities in eastern and central Canada. Much of Corbett's research is grounded in his experience as a teacher who lived for much of his adult life in communities outside metropolitan areas. For him, complex problems in rural education and in rural development are not abstract concerns, but the issues and problems faced by his family and friends. Community-oriented research and promoting critical democratic process are central to Professor Corbett's research agenda. He works primarily in qualitative research using life history, interviewing and narrative analysis as his principal methods. Social Sciences and Humanities Research Council of Canada (SSHRC), Insight Grant Committee Member (Committee 5), 2013-2014. Selection of Editor. Australian and International Journal of Rural Education, 2014. Assessor, Review of Graduate Programs, Faculty of Education, Brock University, 2014. Corbett's research is most closely aligned with the University's research theme of Creativity, Culture and Society. Fundamentally his research involves understanding the educational consequences and implications of globalization and modernity in and for rural communities. He has worked both in Canada and internationally on projects relating to literacies and creative practices in rural contexts, analysing educational transitions and decision-making of rural youth, the politics and sociology of education, and doing rural education policy analysis. Corbett's work also aligns with the University research theme of Better Health and he is currently undertaking work in Canada on developing community-based multi-service delivery systems through 'hub model' schools in rural locations in Atlantic Canada. Corbett's ongoing projects include an analysis of innovative literacy practices using film and video in rural schools. This research used participatory research methods to involve pre-service teachers, in-service teachers and university researchers supported by professional film-makers to enhance literacy curriculum in a small town middle school in Atlantic Canada. Along with Canadian colleague Professor Ann Vibert of Acadia University and Dr. Mary Green, he is currently publishing pieces out of this study and is preparing a manuscript for Routledge entitled The Improvised Curriculum which will be published in late 2015 or early 2016. Professor Corbett is also working with community groups to strengthen community-based educational programming in rural schools that are under threat of closure. This work focuses on developing rich, inclusive and more democratic conversations about the importance of schools in rural communities. Theoretically, this work is located in the dynamic tension between agency-focussed analytical and structurally-oriented critical research frames to analyse complex 'wicked problems' in rural education policy and practice. Corbett, M. (2013-2017). Small Schools in a Big World: Toward Policy that works. Social Sciences and Humanities Research Council of Canada Insight Grant. $233 785 (Role: Principal Investigator). This ongoing project is an investigation of the complexity of rural education governance in Atlantic Canada. Along with my research team which includes Dr. Jennifer Tinkham (postdoctoral research assistant), Jennifer Riley (doctoral research assistant), Kimberley Smith (technical support), and a number of masters level researchers we are working on creating space for democratic dialogue and conducting an analysis of the clash of worldviews between provincial and regional educational governance authorities and rural citizens, activists and local government. This research employee Actor Network theory and critical theories to examine and intervene in the wicked problems surrounding the viability of small rural schools in the context of neoliberal governance. Baeck, U., Paulgaard, G. & Corbett, M. (2012-14). Rural futures and the institutions of higher education. Norwegian Centre for International Cooperation in Education (SIU), $52 150 (Role: Co-applicant). This project is a collaboration between colleagues in the Faculty of Education at the University of Tromsø and Acadia University. In this project we have developed a jointly offered course in rural education which has included student and faculty exchanges. We are currently working on a forthcoming collaborative research project. The Social Sciences and Research Council of Canada (SSHRC) has funded Professor Corbett's research program since his doctoral studies in the Department of Educational Studies at the University of British Columbia. He has been awarded SSHRC research grants in 1998, 2004, 2008, 2010, and 2013. 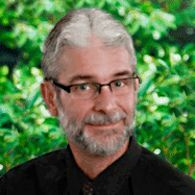 He has published widely in scholarly education journals including: the Canadian Journal of Education, the Anthropology and Education Quarterly, the Journal of Rural Studies, Young: The Scandinavian Journal of Youth Studies, the Journal of Research in Rural Education, Teaching Education, the McGill Journal of Education, The Peabody Journal of Education, Ethnography and Education, The Teachers College Record, Teaching and Teacher Education. Corbett's monograph entitled, Learning to Leave: The Irony of Schooling in a Coastal Community was published in 2007 by Fernwood Press. It has been cited internationally and is considered by one reviewer to be a book that will become a classic in the sociology of education. His most recent books are edited collections: Rural Literacies: Transnational Perspectives (with Bill Green of Charles Sturt) published by Palgrave MacMillan in 2013, and another collection entitled, International Perspectives on Methodological Issues in Rural Education Research (co-edited with Simone White of Monash University) was published by Routledge in 2014. His new title, The Improvised Curriculum will be published by Routledge in late 2015 or early 2016. This project seeks to explore the instrumental value of art as education in encouraging a healthy food culture in Tasmania. Based on the 2014-15 National Health Survey, Tasmania had the highest rate of persons aged 18 years and over who were overweight or obese (67.5%). Equally concerning, Tasmania was found to have Australias highest rates of many long-term health conditions including heart disease, hypertension and kidney disease. Research investigating these deeply concerning statistics suggests that the low socioeconomic status of Tasmania, as well as the states aging demographic, increase issues relating to food security which in effect results in adverse health (Le et al., 2013). Yet, this research contends that accessibility of local, nutritious food should to be considered alongside the food culture of Tasmania.There is a strong correlation between peoples food preferences and their social context including the economic, social and cultural capital to which they have access (Hawkes et al. 2015; Bourdieu, 1984). The consumption of food is a complex socially and culturally located practice. In support of this, recent research has shown that obesity can be predicted by an analysis of what people are tweeting on Twitter about their eating habits (Abbar, Mejova and Weber, 2015). Arts too, are embedded in processes of cultural production and reproduction, at once both reflecting and provoking culture (Kuttner, 2015). Yet, engaging with art occurs within a social, political, artistic, and cultural context (Kuttner, 2015; Kasser and Ryan, 1996). We propose that social context influences the interpretations and meanings people give and make of art.Increasingly, art is being used as a means of raising awareness of food insecurity and sustainable food practices (Smith, 2016; Zenith Community Arts Foundation, 2011). However, there remains limited research exploring the effectiveness of art as education (Crossick and Kaszynska, Gilmore, 2015). In this research project, we will explore how social context influences interpretations of the Imagining Food exhibition and explore how art about food could be used as a tool in promoting a healthy food culture more broadly. The project is a four-year investigation of educational inequality using a socio-spatial lens. The principal investigator on this project is Professor Unn-Doris Baeck. The project focusses on the extent to which rural location influences educational outcomes, how gaps are understood, and how non-metropolitan sociocultural practices are understood in formal education institution and policy in four national contexts (Norway, Finland, Canada and Australia).